Keeping a track of expenses has been a difficult task in running an educational institution and this is because expenses of managing any institution is never fixed and keeps on changing, month to month. Sometimes you don’t even know where the money is going to. Hence it is important for you being the administrator of any institution to keep a track on the expenses and manage it accordingly. Fedena provides you a simple tracking mechanism that can help you divide your expenses under categories and manage it. Then, there are several others as well that are often not recorded or kept a track off. To keep a record of these minor expenses, you may often maintain small notes that goes unnoticed within huge pile of expense registers. But, when you have smarter ways to keep a track of your expenses, then why spend hours on filling up those expense registers? Read on to know how. Fedena has a better solution for you. It can help you track down your expenses easily with the help of its unique way of storing information about expenses. The following information will let you know how you can do it. The very first thing that you need to do is to login with your id to Fedena and then go to ‘Finance’. 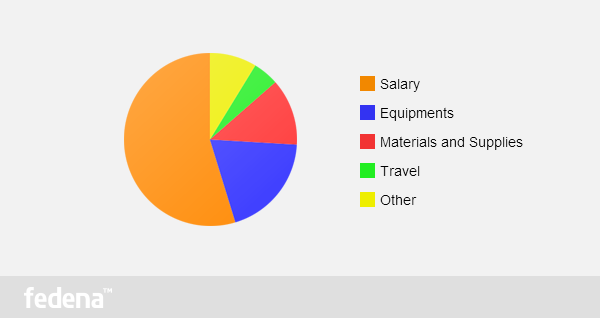 Here you can create various categories under which, you can divide the expenses of your institutions. For this, go to ‘Category’ and create your own new categories. Once you click ‘Create Finance Category’, you get a pop-up where you need to fill up necessary information. Since you are creating an expense category, you should not click ‘Is this under income?’. When you are done with storing in all expense categories, you can add the expenses under each category. Click ‘Transactions’ and it will take you to page where you have the options to take a report of a particular time to keep a track of the expenses that have been made within the time period. For this, you need to click on the ‘Report’. You need to choose a particular time period off which you want the report. You can also have a PDF Report of this for which you need click on ‘PDF Report’. For the manual entries for expenses, you need to go to ‘Add Expense’ under ‘Transactions’ to enter any expenses that is not incurred every month. A very interesting fact of this feature of Fedena is that you can easily compare the expenses of any two months and get the results in graph as well. For this, you need to go to ‘Compare Transactions’ in ‘Transactions’ and select the months you want to compare. Next PostNext How to Conduct an Online Examination using School Management System?